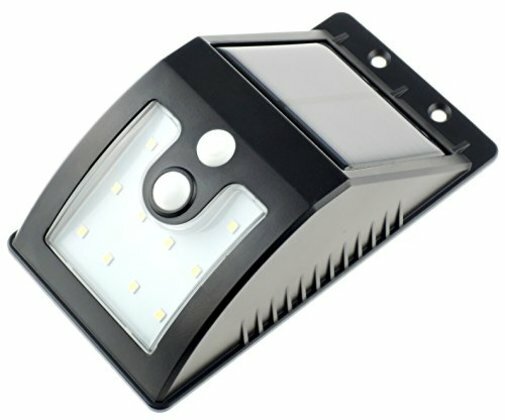 [Flybuddy] 10 LED Bright Solar Sensor LED Light, Outdoor Motion Light, Security Sensor Light with Three Intelligent Modes. EASY TO USE: Simply press on the button to switch the light on and off or swich mode. Stop feeling painful with small pin while turn the light on and off or change mode.